I am an avid reader, but life doesn't allow me the leisure time to indulge in a quiet sit-down with a good book and latte as often as I'd like. However, every few months I'll come across several books I just have to dive into, and find snippets of time to bury my nose in their pages while ignoring the pile of laundry and many other things demanding my attention. Every Last One by Anna Quindlen is a book I've had on my "to read" list ever since it came out earlier this summer, but as mentioned before, had little time to read it. It's currently the September pick for my book club, so what a perfect opportunity to finally read this book by an author I have long admired. 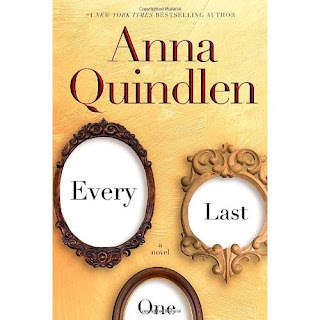 I don't want to spoil it for you, and I am about 2/3 finished with it, but wow, what a powerful story of family, love, and heartbreaking tragedy. This is a book that could almost be called "ripped from the headlines" fiction, because when you get to the "clincher" that is the tragedy, you feel as though you've definitely seen or heard about a story like this happening to a family, maybe even seen it on Oprah, but it's something so terrible you don't really want to dwell on it long. While it's definitely erring on the side of being a bit too depressing for what I usually like to keep as light summer reading, it's written so well, and you get so deeply inside the mind of the protagonist, that you can't put it down or let the story go from your mind. You have to dwell on it. As morbid as the thoughts may be, it's usually the best type of story you read. 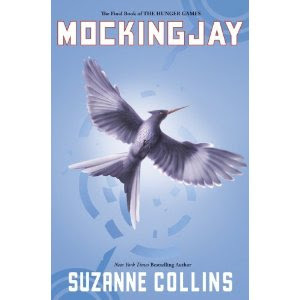 OK I must admit I was hooked on this fascinating series by Suzanne Collins from just about page one of The Hunger Games. And if you haven't read that book, or the second, Catching Fire, run don't walk to your nearest bookstore or library and correct that shameful situation immediately! In all seriousness, this is possibly the best series of books I've read in years, right up there with Harry Potter, superior to Twilight, in my humble opinion. I downloaded the final book in the trilogy, Mockingjay, to my Kindle, and then surprised myself by...NOT reading it yet! Maybe it's the fact that I am trying to finish my book club book, maybe it's the million other things I have going on right now including 6 unfinished quilting projects (aaack! ), but really it's more likely I know that as soon as I start this book it will have to end. And I don't want it to end, it's that good a series. Sigh. OK enough with the delayed gratification, I'm starting this today!